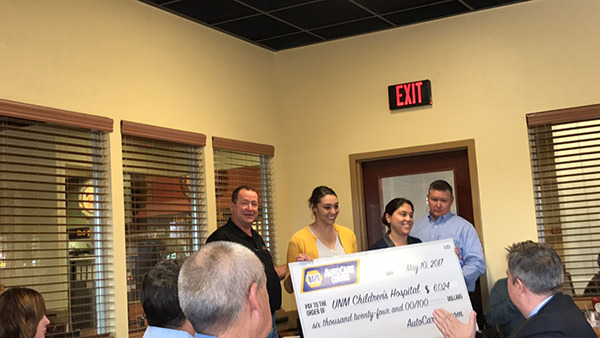 We are so happy to have met our Goal of Raising $10,000 in 2017 for Children’s Miracle Network. As a group, we decided that contributing to a cause on an on-going basis was important to our mission. Last year we combined our advertising resources with our ability to talk to our customers in the community. We went seeking a partner that had to meet some pretty strict criteria. The list for those who qualified was pretty short and Children’s Miracle Network was always at the top. 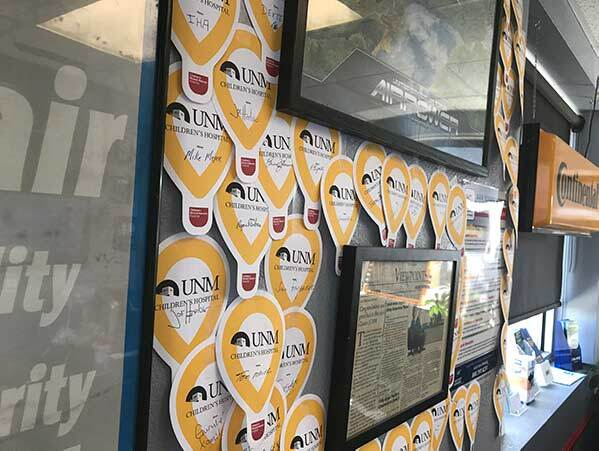 The AutoCare group was impressed with what Children’s Miracle Network did for UNM Children’s Hospital with the UNM Foundation. The work of the hospital is so vital in New Mexico where the poverty rates are high and access to healthcare is often geographically limited, especially to rural residents. And that’s just the day-to-day work of the hospital. Then there are all the kids that need specialized treatment day-in-and-day-out. 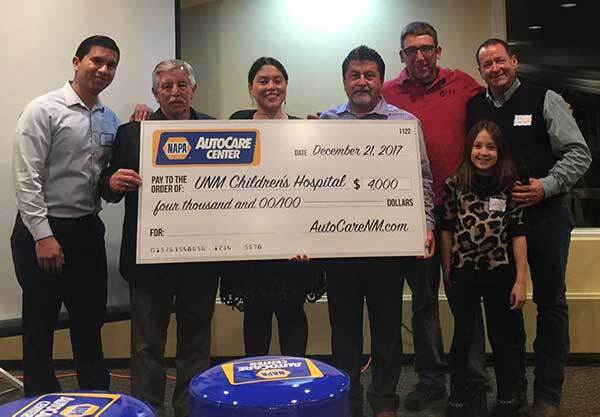 In the first year for 2017, the AutoCare Group did 3 promotions that resulted in raising $10,424 dollars, meeting their goal of $10,000. 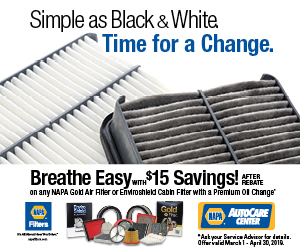 The money came together from a retail driver program where NAPA Parts donated the oil filters, the store matched and donated to entire value of $6 on an individual oil change. 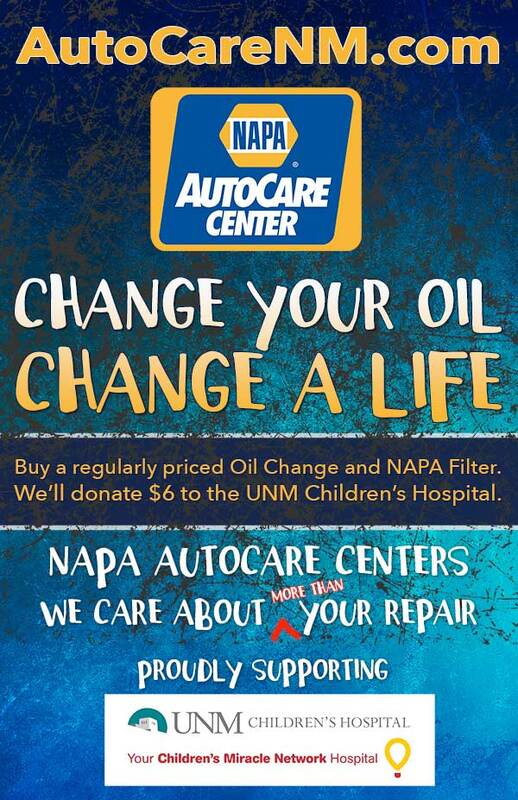 The customer pays regular price for the oil change and CMN receives a $6 donation. The end result is the opportunity for these local business to really be part of helping their community.